Thank you for being a Soccer Coach! Without your help we would not be able to bring the beautiful game to our recreational soccer players. The following are links to several helpful documents and training sessions that will guide you through your coaching year! Please take a look at them, download and print them and keep coming back to this page for more resources and tips. SPVJSA recommends the U.S. Soccer "Grassroots" level coaching courses as a starting point to all of our recreational coaches. This is a new program that begins with the "Introduction to Grassroots Coaching" module which is a 20 minute, online program that acts as a starting point to the remainder of the grassroots modules. 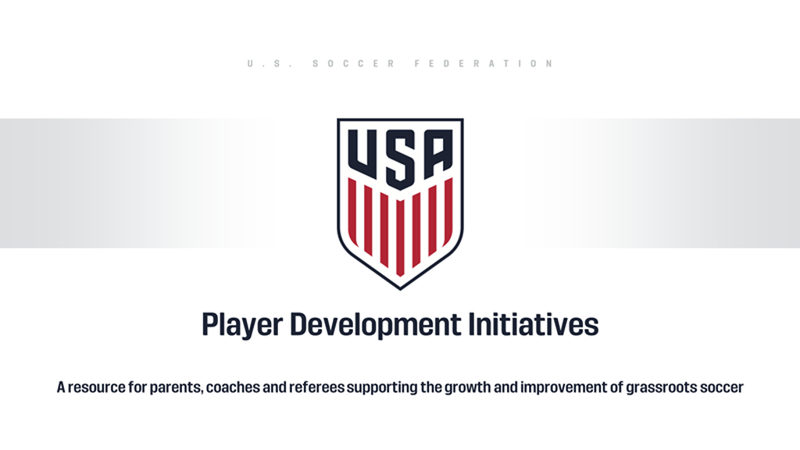 Following the Introduction there are four (4) in-person experiences and four (4) online courses that relate directly to small-sided games and the respective age-groups outlined in the U.S. Soccer Player Development Initiatives. 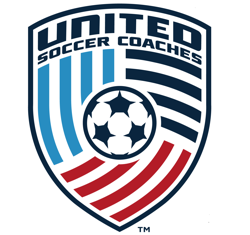 SPVJSA recommends the United Soccer Coaches Foundations Diploma as a starting point to all of our recreational coaches. The NSCAA has developed the Foundations of Coaching online course as the perfect introduction to coaching youth soccer for the first time, and as a helpful refresher for those coaches coming back to the youth game. At this time the NSCAA is offering a six-month complimentary membership to new coaches. This membership gives you access to all online resources, informational newsletters, online Soccer Journal, and member pricing on most education offerings. The Build Out Line is used to promote playing the ball out of the back for 7v7 games. 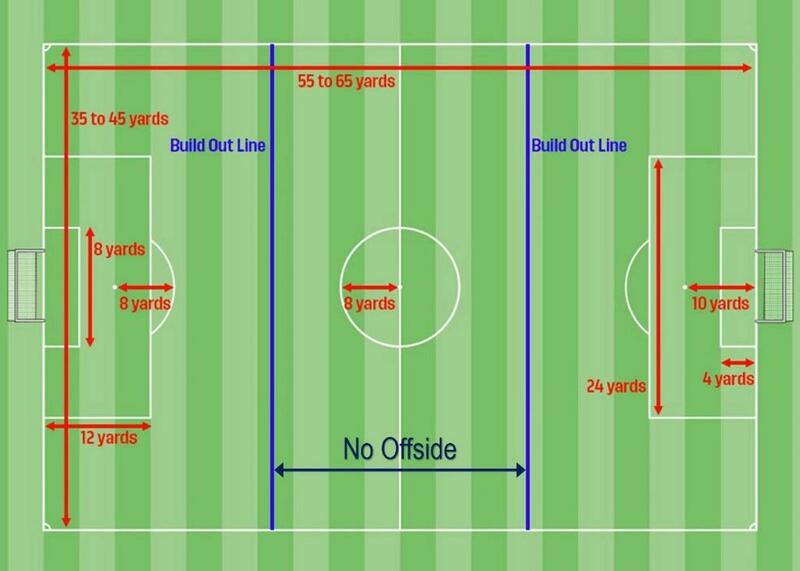 The Build Out Line is also the OFFSIDE LINE for U9 & U10, 7v7 games. When the GK has the ball, either during play or from a goal kick, the opposing (attacking) team should move behind the build out line. The GK can play the ball right way or once the opposing team is behind the build out line. After the ball is put into play by the GK the opposing team can cross the Build Out Line and play resumes as normal. The ball is in play when it leaves the GK hands. The ball is in play when the ball is kicked by the player taking the Goal Kick. The ball is in play if the GK has the ball in their hands and drops it to their feet for a kick.